Before taking out a loan there are five important factors that you need to take into consideration. These will determined the type of loan you opt for, plus they will have an influence on how much you decide to borrow and how quickly you will pay the money back. 1. 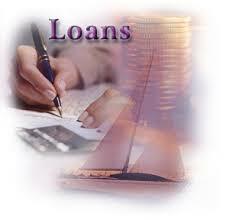 Amount to borrow The most important factor you need to take into consideration is the amount you need to borrow. You should have an idea of how much you need before you approach a loan company or a bank and don’t allow yourself to be persuaded to up the loan. Saying this you should also ensure that the loan covers the full amount you need so that you don’t have to borrow more money in the future. 2. Paying it back When taking out a loan always keep in mind that you need to pay it back or else you will find yourself in a cycle of debt. Some loans have a set date in which they need to be paid back within and you often need to make set monthly repayments to meet the deadline, in this case ensure that you can make the repayments comfortably. If your loan doesn’t have a set end date, create one for yourself and create your own monthly repayment scheme, this way no matter how long it takes you to repay the loan you will have an end date in sight and it will prevent you from seeing yourself being in long-term debt. 3. Interest rate When looking at a loan it is vital that you find out the interest rate and whether this will go up after a certain date. If you know you will be able to pay back the loan in full with your next payday then you could opt for a loan with a higher interest rate, but remember you must pay it off in full or you will find yourself in a lot of debt quickly. If you’re looking for a long-term loan, however, try and choose a loan with the smallest interest rate possible or else you could find it takes much longer to pay off the loan in full. 4. Changing circumstances Prior to taking out a loan also think about what will happen if your financial circumstances change. If you’re taking out a long-term loan, for example, consider what are the chances that you will be made redundant in the next few years? If you’ve got a very secure job or know you can easily find another job quickly it won’t impact your decision too much, but if being made redundant will prevent you making repayments re-think about whether you should take out the loan. 5. Other debts It is also important to keep in mind your other debts. If you’ve got a large mortgage, plus still paying off your car and a credit card, consider postponing taking on more debt until some of your others have been paid off first or else you could find yourself living in debt to keep up a lifestyle that is above your income level.